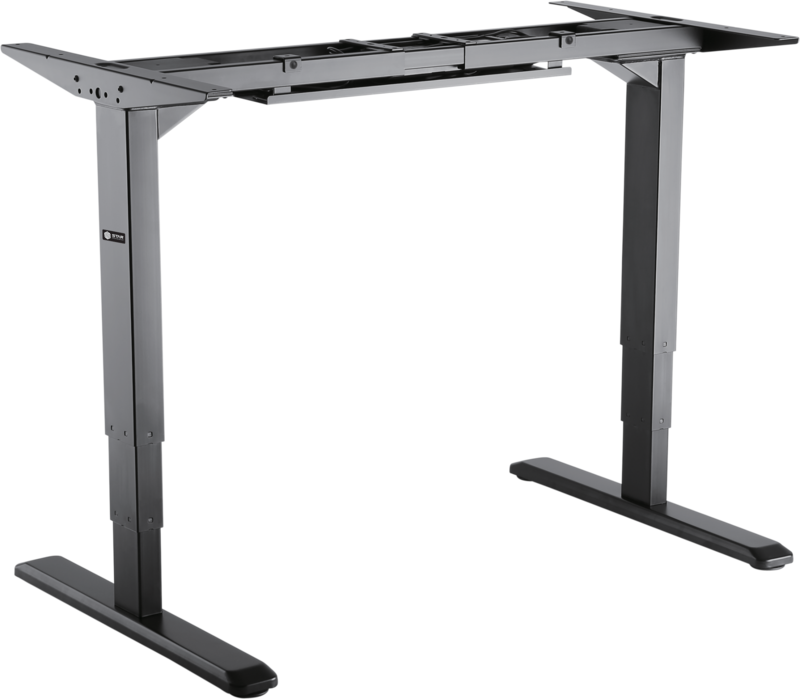 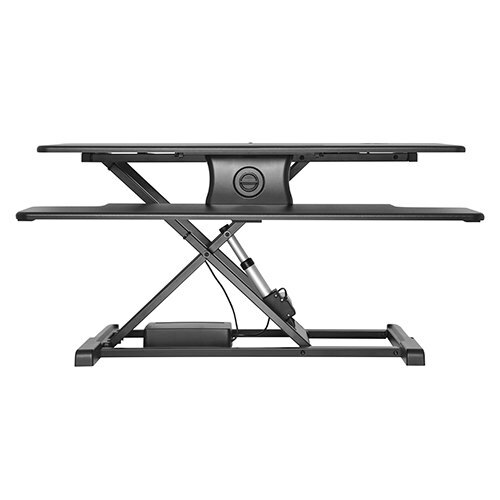 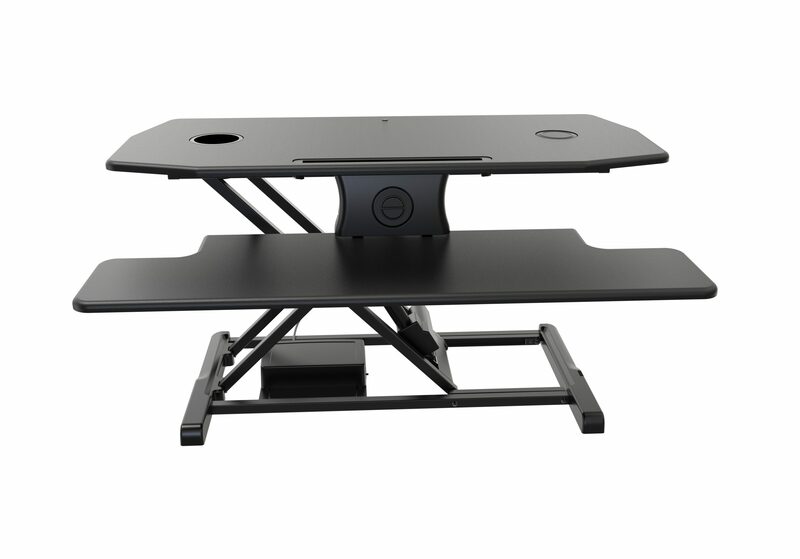 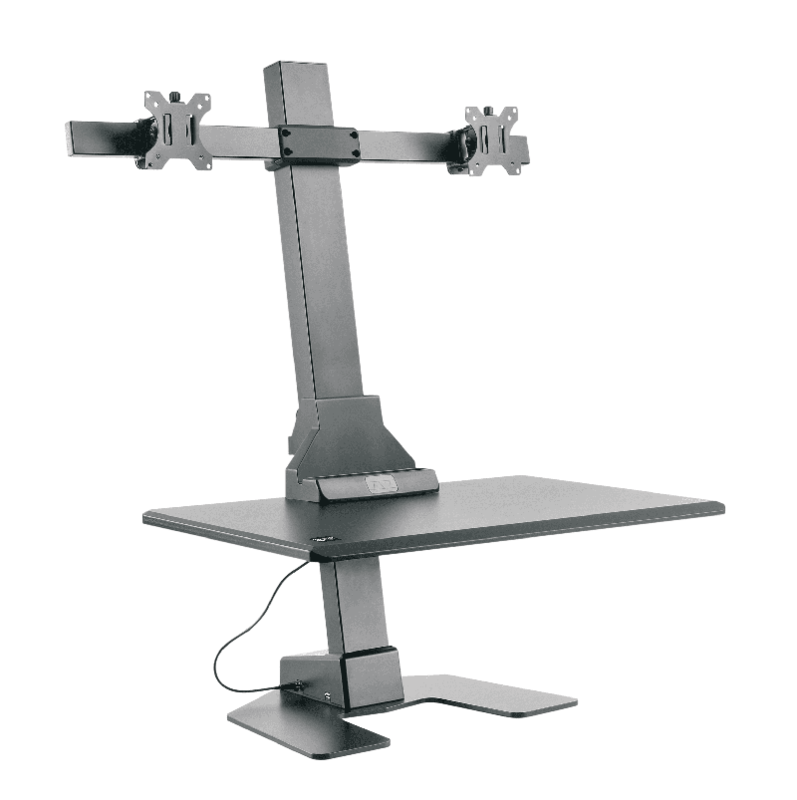 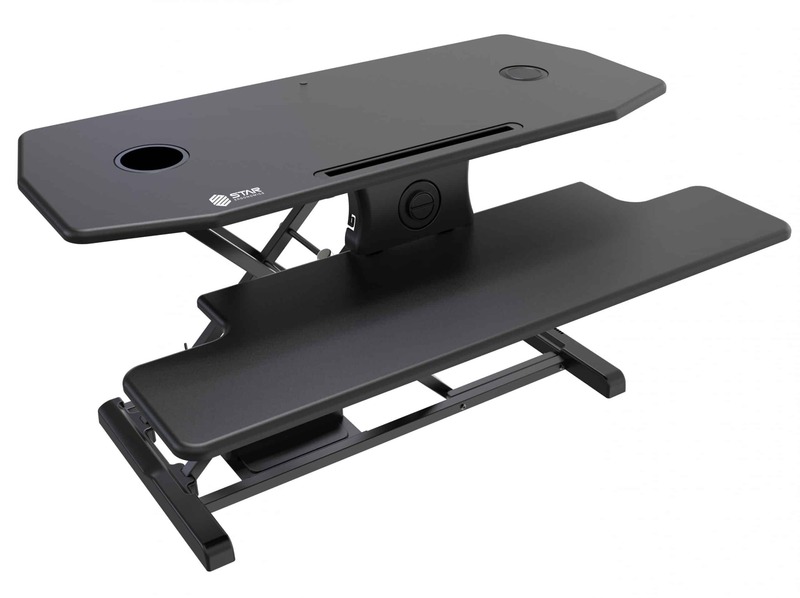 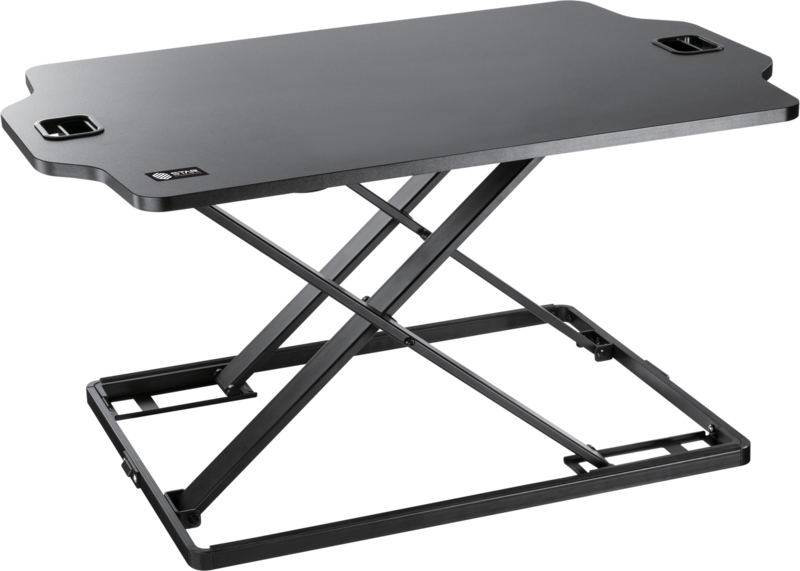 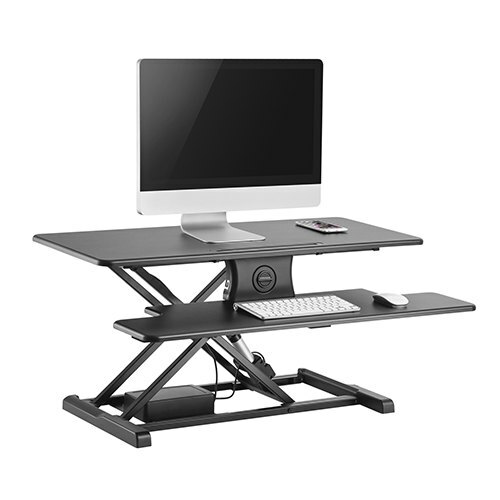 Sit-stand workstations are the easiest and the most versatile method to convert any desk to sit-stand desks. 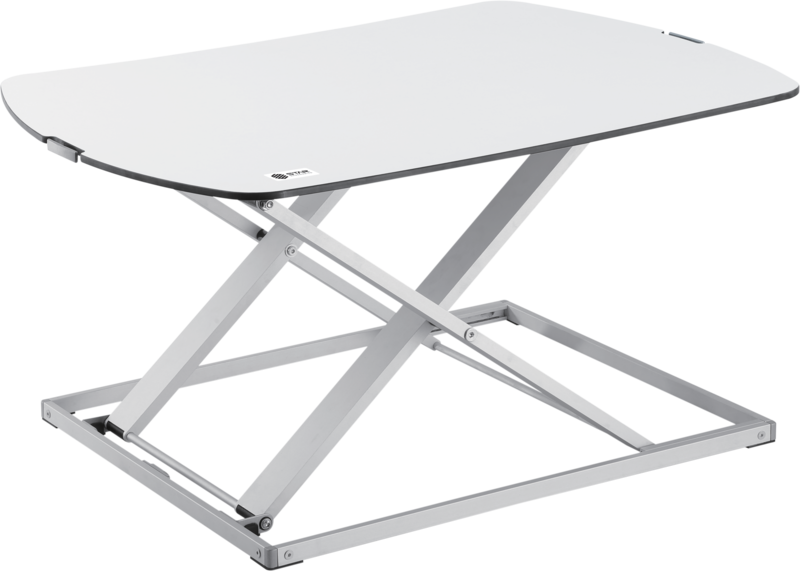 Best of all, there is no need to replace existing furniture and desks-simply unbox and place the workstations on the desktop. 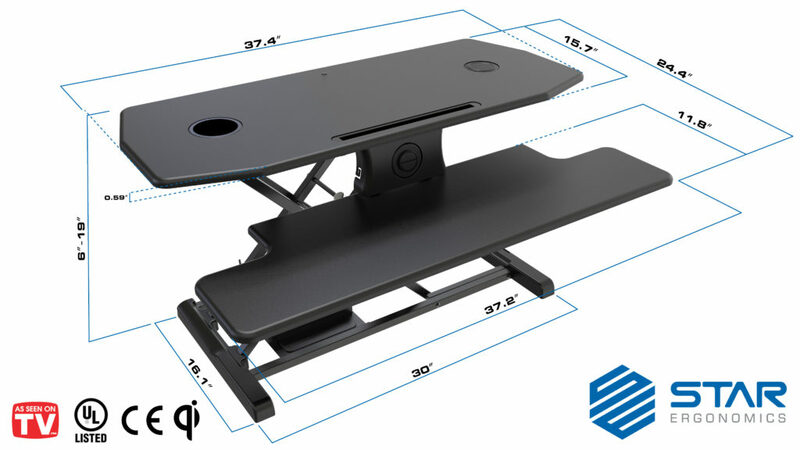 SE09E2WB even makes the easy products easier. 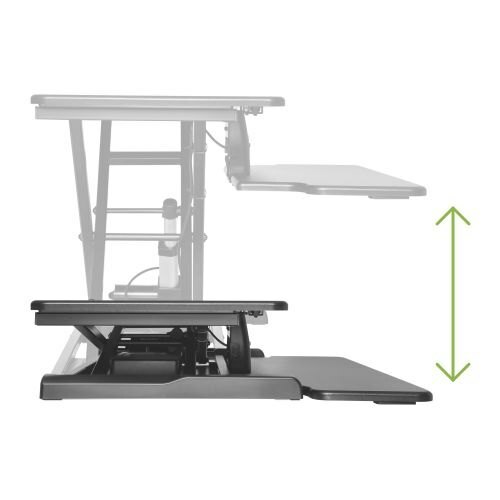 Powerful UL Certified motor lifts the heavy load on the work surface with a touch of a button. 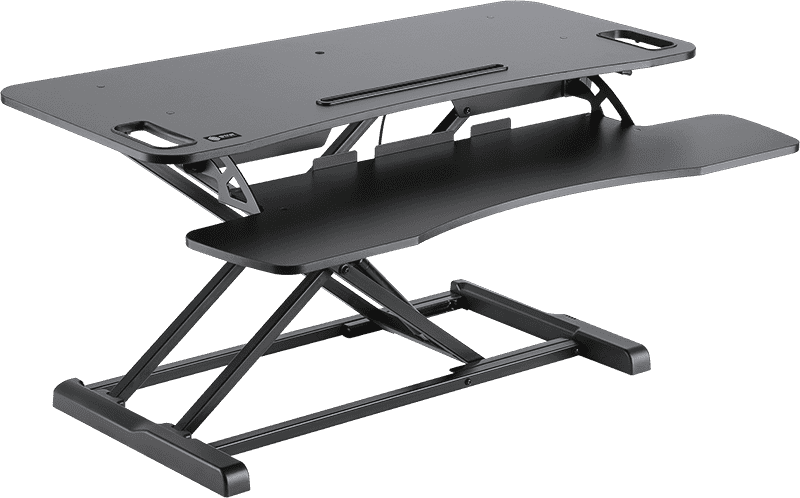 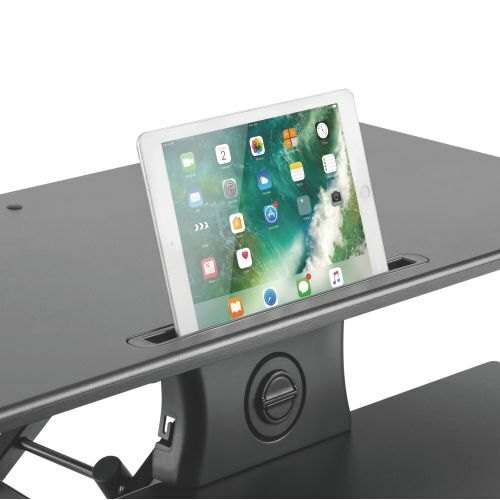 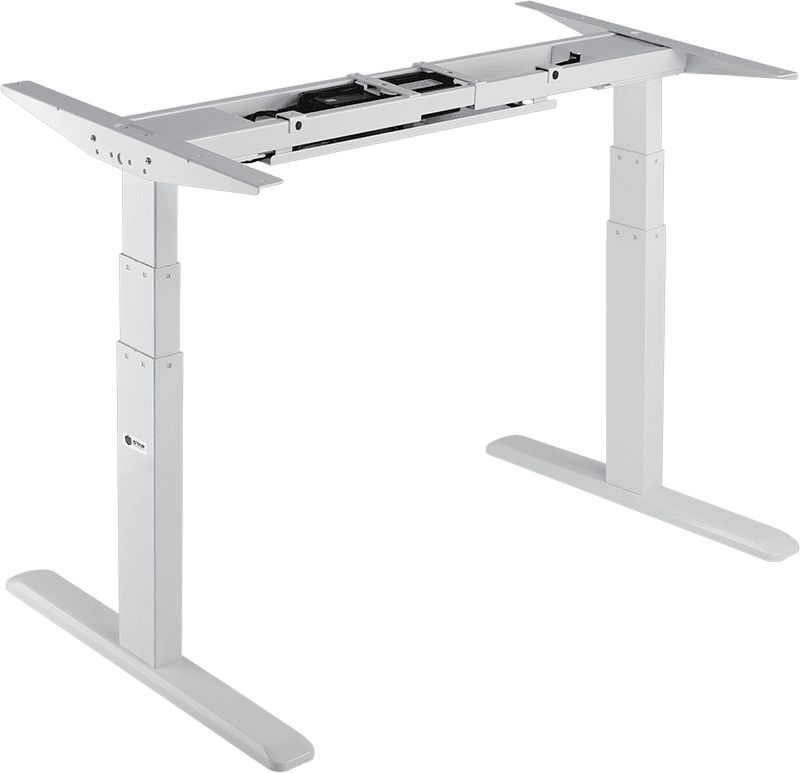 The motor driven mode avoids the awkward forward posture while lifting regular workstation–the posture increases the heavy load on the lumbar area. 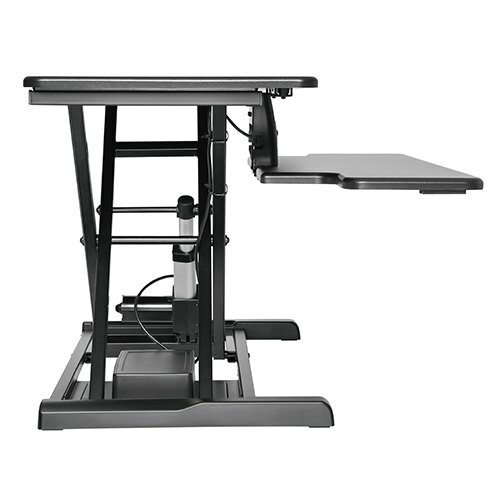 Quiet motion prevents interrupting the working environment. 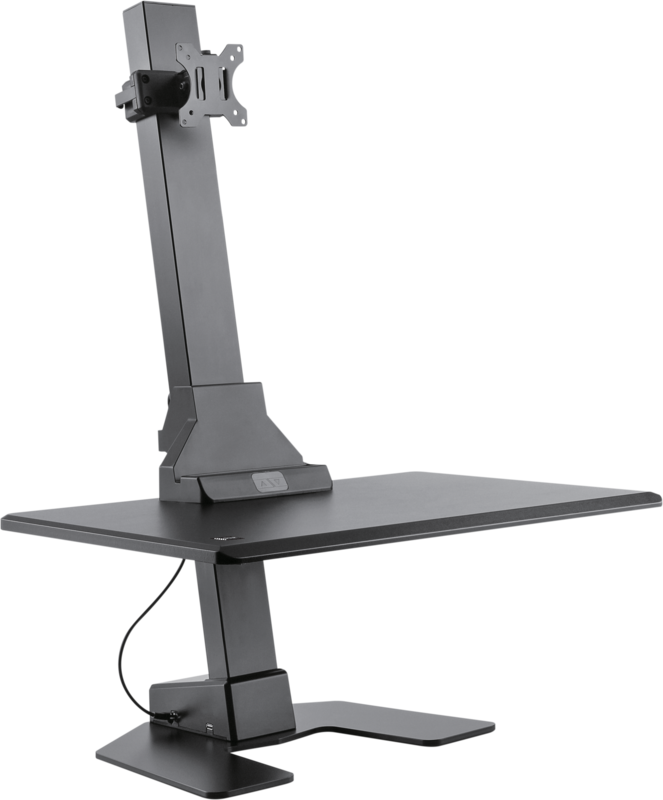 Sophisticated motion control generates a smooth and stable adjustment. 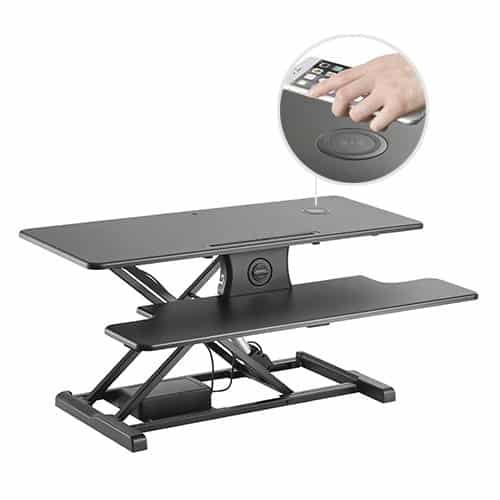 In addition, the model incorporates a wireless charger that provides quick and easy power supply.